one. Our families are meeting for the first time next month at T.J.'s graduation. I still haven't met some of his relatives who will be there and I can't wait to introduce our parents. My mom has always said you're not just marrying the guy, you're marring their family as well and I am looking forward to having time with everyone that weekend as a newly-engaged couple. two. Getting engagement photos back! The photographer T.J. arranged posted a couple teaser pics on Facebook last night and now I just keep looking at them over and over again and reliving the day. I can't wait to see the rest of them! three.We get to plan whatever fun details we can without having a date yet. There's not a lot you can do without a date so I'm treading carefully and trying not to get ahead of myself but a few things I can start thinking about are: the wedding party, colors, a save-the-date template (so we can just pop in the day and send 'em), guest lists, etc. And let's be honest... once we set a date, whenever it is, I can relax because everything else has been planned since I was like 10.
four. I just remembered- we get to register!!! five. It's finally Friday!! This week has been a really hard one at work. It's been insanely busy, and stressful, and it's felt like the office is trying to steal my joy. But the weekend is here and I'm going to stay on cloud nine and sleep in! Stopping by from the link-up and so happy to see your engagement photos!! What a fun time - there are not many things as fun as planning a wedding!! Yay! Hope you have a great weekend! 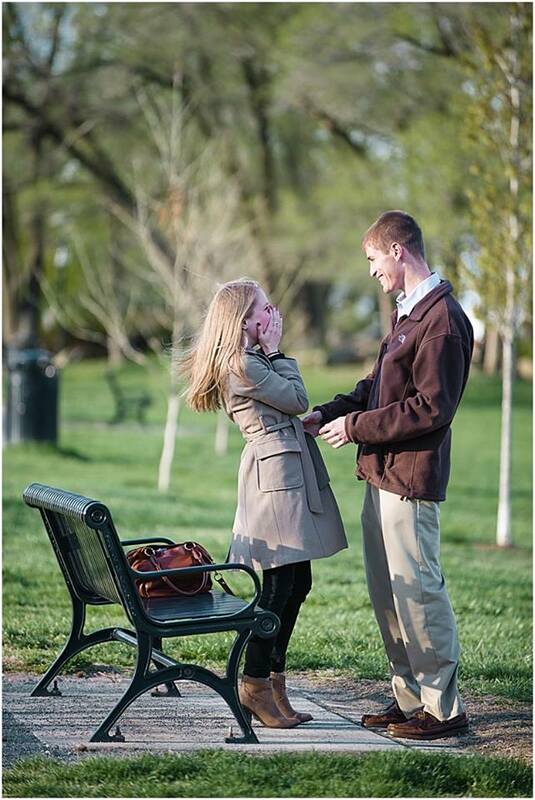 Your engagement pictures are great! I love that you had a photographer there to capture the moment for y'all. Hope you have a great weekend! Thank you so much! It was such a great surprise and I love that T.J. got those sneaky photos to remember it by (not that I'll forget it any time soon). Hope you have a great weekend too! The photos are wonderful, and I look forward to seeing more!! These are the best pictures ever! Plus I love your booties and coat. :).